Looking for a job in Johnson County Indiana? 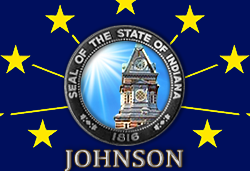 This Johnson County Indiana job guide is a resource for job seekers looking for legitimate employment opportunities in the region with an emphasis on government positions, top healthcare employers, public school careers, and major job boards. Johnson County periodically posts job openings. During this review open positions available had included Youth Care Supervisor, Licensed Educator, Juvenile Program Manager, Maintenance-Housekeeping, and Youth Care Manager. The City of Franklin provides a variety of employment opportunities for residents of the central Indiana area. During review there had been seasonal parks and recreation related seasonal positions. The City of Greenwood offers a generous benefit package to its full-time employees. Here openings were found such as Director and City Engineer, Aquatics Program Instructor, Before/After School Associate, Before/After School Coordinator, Community Center Associate, Community Center Program Instructor, Concessions Admissions Associate, Concessions Admissions Coordinator, Freedom Springs Maintenance, Lifeguard, Parks Maintenance, Recreation Coordinator, Softball Scorekeeper, Summer Camp Associate, and Summer Camp Coordinator. Johnson Memorial Health is a nationally-recognized network of physicians, services and healthcare resources based in Johnson County, Indiana. Open positions may include career specialties such as Social Worker MSW, Charge Nurse RN, Clinical Dietitian, Maintenance Mechanic, Forensic Nurse Examiner, Patient Service Representative, PRN Nursing Jobs, Phlebotomist, Medical Billing Jobs, Registered Nurse RN CCU, Receptionist, Respiratory Therapist, Registered Nurse RN Cardiac Rehab, Supply Technician, Medical Scribe, Medical Technologist, and Unit Secretary. The Little Clinic had opportunities for Full-time Nurse Practitioners during this review. Periodic full-time, part-time, PRN, and float positions become available. Kindred Hospital Indianapolis South is a 60-bed transitional care hospital featuring all private rooms, and an 8-bed intensive care telemetry capability. Decatur County Memorial Hospital....Admitting Clerk, Certified Pharmacy Tech, HR Generalist, Lab Assistant, Licesned Practical Nurse LPN Pain Clinic, Medical Lab Technician, Patient Account Reps, Registered Nurse ACU, Registered Nurse ER, Respiratory Therapist, Social Worker MSW LCSW, Speech Language Pathologist, Ultrasound Tech, and Unit Coordinator. Stones Crossing Health Pavilion is a part of Community Health Network. Here open positions were found such as Medical Assistant, Licensed Practical Nurse, Physician Assistant, Staff Physical Therapist Per Diem | PRN (as needed), OB/GYN Registered Nurse Part-time | PRN (as needed), School Nurse, Office Coordinator, Administrative Secretarial Jobs, Lead RN OB/GYN Registered Nurse, and Medical Assistant III. Franklin Meadows is a part of American Senior Communities located in Frankin, Indiana, but openings were also found in Greenwood. During review there had been job openings posted for Medical Records Nurse, Certified Dietary Manager, Nurse RN / LPN, Certified Nursing Assistant CNA, Student Nurse, Dietary Aides, Cooks, Weekend Supervisor LPN / RN, RN Registered Nurse, Certified Occupational Therapist Assistant, QMA Qualified Medication Aide, and MDS Coordinator. Center Grove Community School Corporation had employment opportunities during this survey for Special Services Assistant, Lifeguard, Food Services Workers, Mild Disability Special Services Assistant, Substitute Day Care, Substitute Bus Driver, Substitute School Custodian, Substitute Teacher, Substitute Day Care, Technology Teacher, Guidance Cousnelor, and Coaching Jobs. Clark-Pleasant Community School Corporation's employment listings found had included Temporary Grade 5 Teacher, Elementary School Teaching Jobs, Essential Skills Teacher, Elementary School Teaching Severe and Profound (Essential Skills), Food Service Substitutes, English Teacher Job, Mathematics Teacher, Temporary Science / Health Teacher Job, 1st Shift Custodian Split Position, Maintenance / Custodial Jobs, Part-Time Groundskeeper, Bus Aide, Grounds Worker, Speech and Language Pathologist Assistant, Substitute Teachers, Instructional Assistant, Substitute Bus Drivers, and Special Needs Bus Monitor. Edinburgh Community School Corporation had been hiring for Elementary Essential Skills Instructional Assistant, East Side Instructional Assistant, Sub Cook, Sub Custodian, Sub Bus Drivers. Three types of jobs become available in the Edinburgh Community School Corporation to include Certified (Teaching), Support Staff (Non-Teaching), and Administrative. Franklin Community School Corporation frequently has vacancies. Opportunities found had included School Counselor, Food Services, American Sign Language (ASL) Teacher, ASL teacher, High School Teaching Mathematics, Mild Disabilities Teacher, 2nd Shift Custodian Job, Custodial Substitute Job, Secretary, Substitute Teacher Job, Cub Care Worker, Library Media Assistant, and Essential Skills Assistant Job. Greenwood Community School Corporation had listings posted such as Freshman Girls Basketball Coach Job, Freshman Softball Coach Job, Basketball Coach Job, High School Reserve Volleyball Coach, Boys' Varsity Soccer Coach, 4 Hour Cafeteria Staff, Substitute Cafeteria Staff, Temporary Special Education Teacher, Substitute Custodian, English Teacher Job, Substitute Bus Aide, and School Bus Driver. Nineveh-Hensley-Jackson United School Corporation's job postings had included Elementary Classroom Teacher, Substitute Cook /Food Service Preparation, and Full-Time Custodian. Special Services Johnson County open positions found included Teacher for Students with Visual Impairments, School Psychologist, and Occupational Therapist. SSJCSS supports local districts for all students with disabilities in Johnson County to include preschool and behavioral services. Childtime of Whiteland seeks Teachers, Assistant Teachers, Lead Teachers, Food Specialists, Drivers, School Directors, Assistant Directors, and support positions. Since it was founded in 1834, Franklin College has been a leader in liberal arts education. Franklin College hires faculty educators and support staff. The Franklin Chamber of Commerceare is a good resource for job seekers since they tend to provide updated business directories, information on economic climate, and more. This is a Worklooker job guide similar to this page. Featured listings include The City of Indianapolis, Community Health Network Jobs, Indiana University-Purdue University Indianapolis, Indianapolis Metropolitan High School, St. Vincent Health, IMPD Indianapolis Metropolitan Police Department, and more.